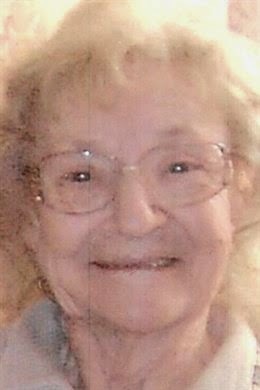 ELKHART — Juanita Cobb, 89, of Elkhart, passed away Tuesday, Feb. 10, at Valley View Health Care Center. 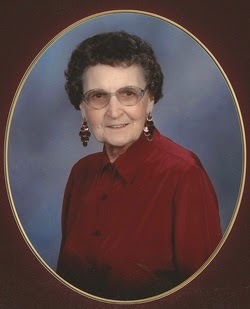 She was born Nov. 3, 1925, in Dycusburg, Ky., to Francis and Addie Lee (Duncan) Doom. On April 29, 1943, she married the late J. T. Cobb. He preceded her in death Dec. 16, 2008. 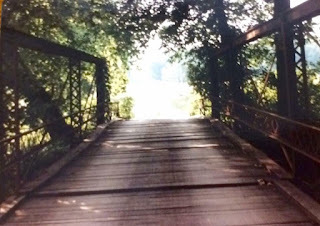 Survivors include two sons, Rick D. (Betty Jean) Cobb of Elkhart and Charles L. (Nancy) Cobb of Goshen; six grandchildren; seven great-grandchildren; and her nieces and nephews. In addition to her parents and husband, she was preceded in death by one son, J. Wayne Cobb; two sisters, Mary Guess and Lola Mae Patton; and three brothers, Jessie, Rayburn and Charles Doom. 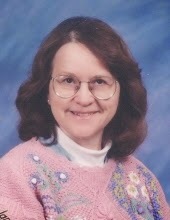 Juanita was a loving homemaker for many years and often enjoyed gardening. She was an avid bird watcher. She was a wonderful cook and baker and was especially known for her wonderful snickerdoodles. The family will receive friends for an hour prior to the 4 p.m. Sunday, Feb 15, funeral service at Billings Funeral Home, 812 Baldwin St., Elkhart. Jo Johnston of Billings Funeral Home will officiate. Interment services will be at 2 p.m. Tuesday, Feb 17 in Prairie Street Cemetery. Memorial contributions in memory of Juanita may be made to the charity of the donor’s choice. The Lamb Family Reunion will be held Saturday, Oct. 10, 2015 at the Princeton Tourist Welcome Center in Princeton, KY. All family members (descendants of Thomas Lamb and Longshore Lamb) and friends of the family are invited to attend. A ceremony to erect a tombstone for William (son of Longshore Lamb) and his wife, Rebecca Lamb, will be held at 11 a.m. on Oct. 10 at the Old Orange/Dorr Cemetery, just outside of Princeton. William Lamb served as a private in the War of 1812 in Col. William Mitchusson's Regiment of Kentucky Detached Militia under Capt. John C. Dodd. Descendants will honor his service to our country in this important conflict at a time of an expanding, young nation. After the ceremony, a catered, Southern style lunch will be served at the Princeton Tourist Welcome Center. For more information, email Linda Lamb Monticelli (rlmflm at aol.com) or Matthew T. Patton (matthewtpatton at yahoo.com). More details will be provided in upcoming announcements. 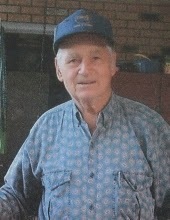 Walter “Ronnie” Green, age 74, of Dycusburg, died Monday, February 2, at Livingston County Hospital in Salem. He was a member of Dycusburg Baptist Church, a U.S. Air Force veteran and a retired correctional officer at Kentucky State Penitentiary. Survivors include one step son, Pat Travis Perry, Princeton, KY; one step grandson, Ryan Perry, Princeton, KY; four step great grandchildren; two brothers, Don Green, Mayfield, KY and Kerry Green, Dycusburg, KY; two sisters, Ginny Brown, Eddyville, KY; and Nancy Rideout, Valley Park, MO, and several nieces and nephews. Ronnie was preceded in death by his wife, Kitty Marie Lovell Green, his parents, Tom and Edna Mae Henry Green; four brothers, Duke, J.C., Luther and Oscar Green; and two sisters, Joann Chaney and Betty Guier. Visitation will be from 5 to 8 p.m. Wednesday, February 4, at Lakeland Funeral Home in Eddyville, KY.
Funeral services will be Thursday, February 5, at 1:00 p.m. at the funeral home with Rev. Steven Kirk officiating. Burial will follow in Dycusburg Cemetery.